18x8.5 ET6 with 225/40/18's....how many coils to cut? 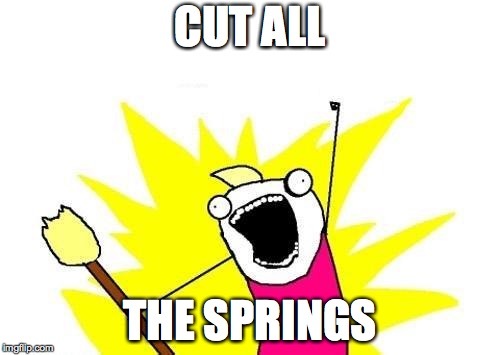 I'm going to cut my springs for the season. it's a 245 wagon, and I"m running 18x8.5 et6 wheels with 225/40/18 tires. I think the common rule is the rear is what the front is cut minus .5 coils, so 2 in front and 1.5 in rear for a starting point. Or cut them right in half, sell the other halves and profit again. When does ride start to get worse, even if you chop the bump stops? Some say 3 coils and others say as low as 2.5 coils cut. I'm not one to cheap out and cut corner (no pun intended) yet cutting springs is something I'd never ever do as an aging automotive enthusiast. after all the GOOD I've read on the subject and how the volvo 200 series seems to praise in favor, I yield my decision as....why the heck not. if it's that bad afterwards, IPD has 245 springs in stock after all. It will transform your 240 into a handles like it's riding on rails becauseraacecar™ overnight. 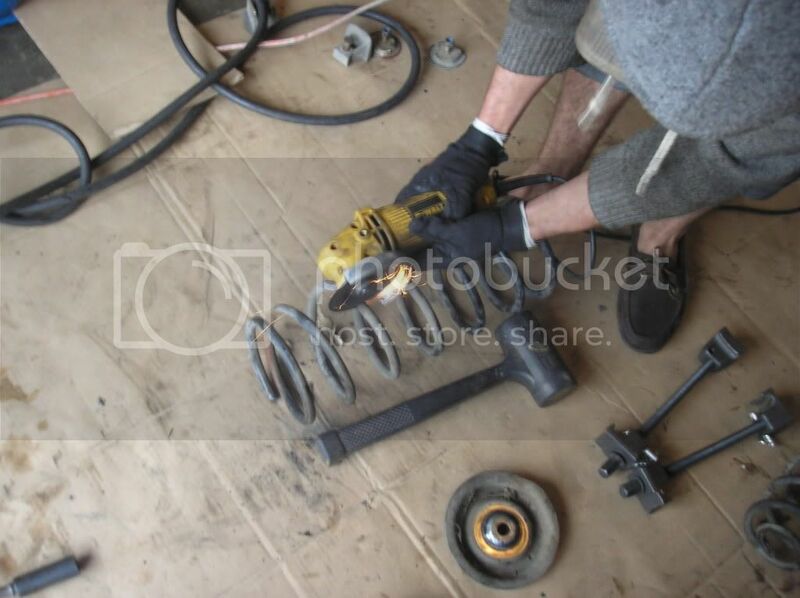 cut them as short as they can go without falling out when the suspension is unsprung, that is all that matters. I read that 90s Chevy S10 front shocks can work in the rear when lowering. We want pictures of the Super DTM's!